As the #1 selling real estate agency on the Grand Strand, RE/MAX Southern Shores agents are experts when it comes to knowing where the best properties and best buys are in North Myrtle Beach. Get your very own piece of the beach at Mar Vista Grande, an ideal property for anyone looking for a year round residence, a vacation home, a beach getaway, a real estate investment, or rental income. RE/MAX Southern Shores real estate agents can help you every step of the way as you purchase a luxurious beach condo. If you're looking for one of the most impressive oceanfront complexes in which own a condominium, look no further than the Mar Vista Grande! 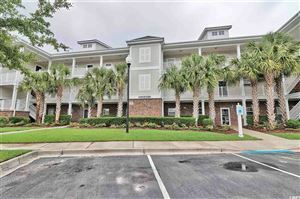 Contact RE/MAX Southern Shores at 843-249-5555 for more information about these condominiums in North Myrtle Beach. Please contact our office at 843-249-5555 where RE/MAX Southern Shores agents are on available every day to assist with all your real estate needs. We’ll help you navigate the touring, selection, negotiation, and purchase process for the Mar Vista Grande property that is perfect for YOU!